A few weeks ago, PlayerUnknown’s Battlegrounds was released for Android devices on an international level. 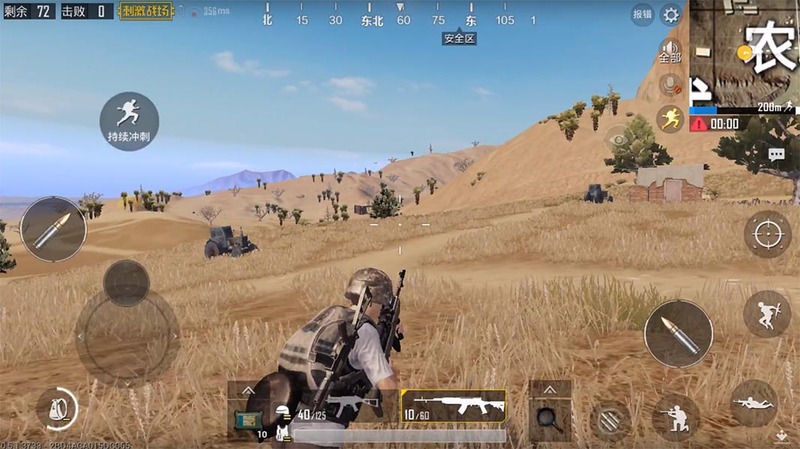 After the release of two different installments for Android in Asia called Army Attack and Exhilarating Battlefield, this latest one was released globally with a huge following behind it. The only difference between the western version and the original, aside from the language, is that the updates arrive much later. In fact, a new desert map was just released for Exhilarating Battlefield that can already be played. Miramar is the name of this new map, with dimensions of 8 x 8km, just like the original Erangel island. It’s the second map that’s arrived on the original PC version, which is actually about to receive a third on its tester servers. In addition to this, Exhilarating Battlefield (the Lightspeed version, to avoid confusion) has received with its update 0.5.1, tons of improvements on a performance and graphics quality level, allowing 2k resolutions on devices that allow it. To play the Chinese version, it’s necessary to follow this short tutorial that we already posted on our blog. It simply requires you to install WeChat and have an account with the social network in order to log in. And don’t worry if you’re already playing the international version, since they’re totally independent games and you can have both installed simultaneously on the same device without a problem.